← Engagement rings from Verragio will compliment almost any shape and size diamond center. Here is an example with an emerald-cut diamond. 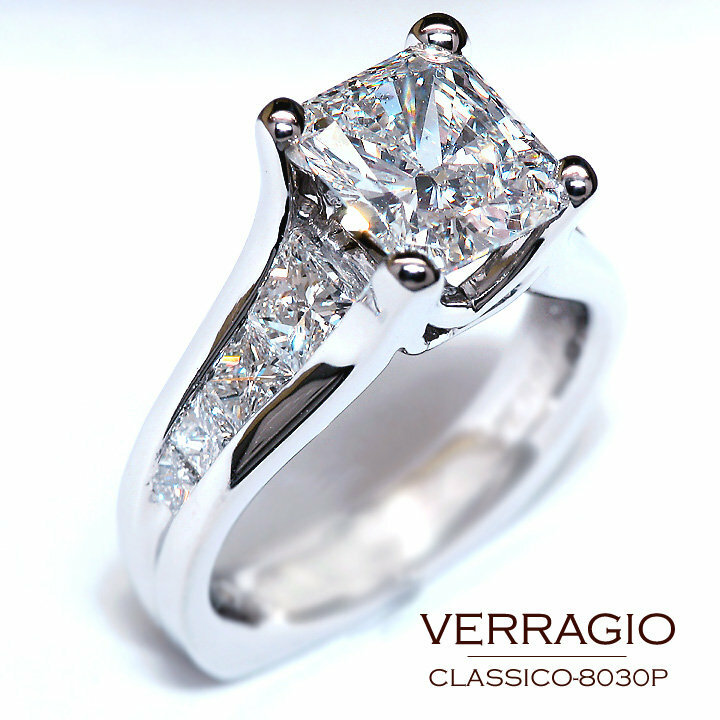 CLASSICO-8030P engagement ring; it is perfect setting to showcase your diamond in this timeless and elegant engagement ring.